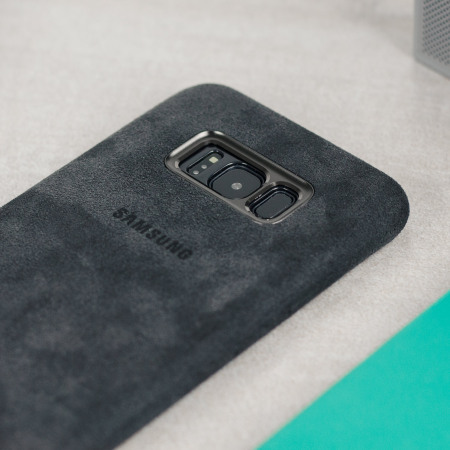 Protect your Samsung Galaxy S8 with this Official Alcantara case in silver / grey. 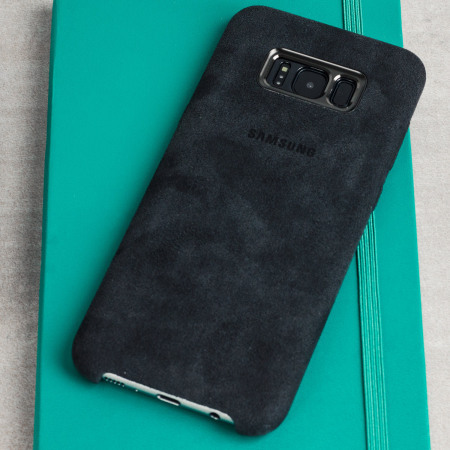 Stylish and protective, this case is the perfect accessory for your S8. Ordered an as of yet unreleased in the USA case. Delivery was quick and the product arrived as described. No issues. 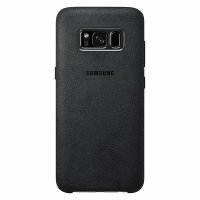 The case is the Alcantara Samsung S8 case and has a good grip. Fits well, and doesn't seem to interfere with most screen protectors. As a plus it also makes getting to the fingerprint reader easier as it guides your finger to the scanner pad. 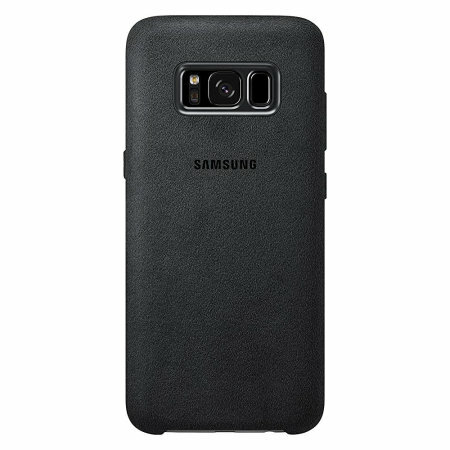 After a week of use I can tell that the Alcantara case for the Galaxy S8 seems as though it will last a long time. The material and construction is of high quality and it feels very good in hand. 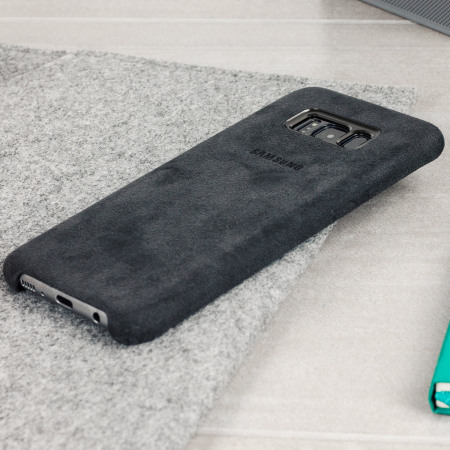 The alcantara material allows for a surface that provides extra grip which is sure to prevent slips and drops. I also noticed, at least on the dark gray color, the alcantara does seem to have excellent stain resistance and can easily be cleaned with a damp cloth. I have not had any issues with sliding the phone in and out of pockets which was my major concern when deciding to get this case. Overall I have nothing bad to say regarding this official Samsung accessory. 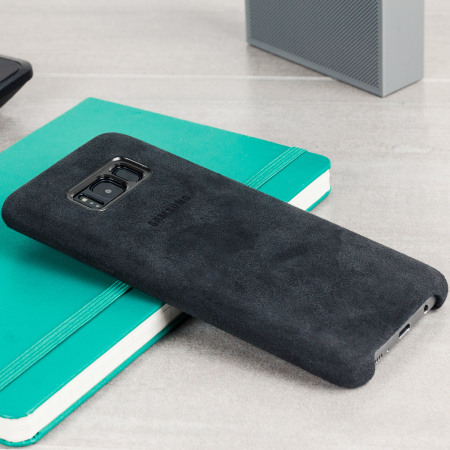 Crafted from Alcantara, this case provides a unique and stylish design for your stunning Samsung Galaxy S8. 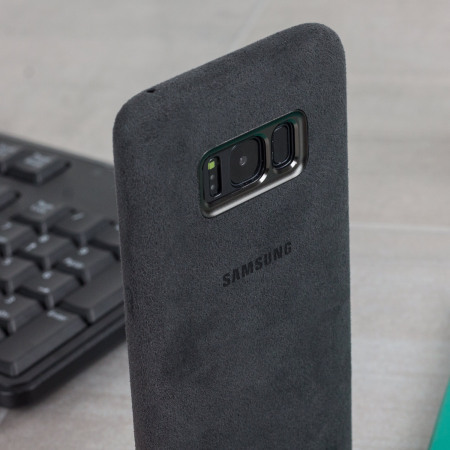 This case runs neatly around your S8's edges to provide excellent side on protection as well as a raised lip which guards against damage when placed face down on a flat surface. The back of your new smartphone is also protected against scratches, splashes and any other bumps and scratches. This keeps your S8 looking just as fresh as when you first took it out of the box. 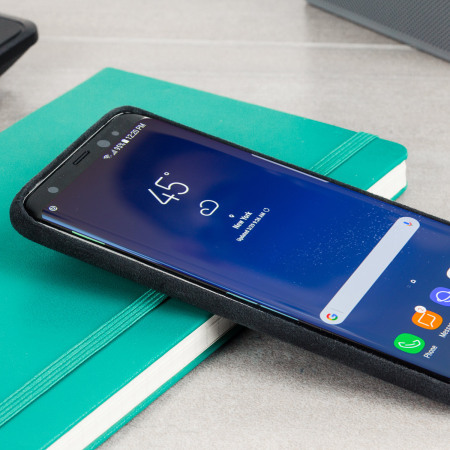 Thanks to the slim design, your Galaxy S8 won't incur any unnecessary bulk - helping to keep your S8 as slim and light as it was originally designed to be. 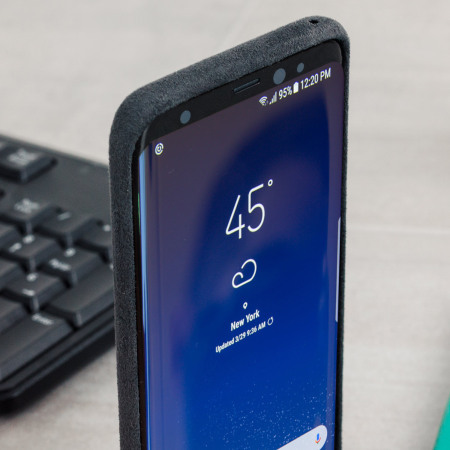 The case also features cut-outs for the ports and features of the Samsung Galaxy S8, including the dock connector and camera.